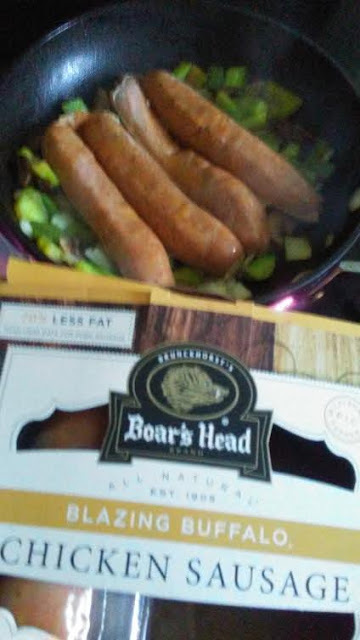 I was lucky to get this package of Boars Head Blazing Buffalo Chicken Sausage at a sweet deal at the local deli at Kroger's Food and Drug! I love Buffalo Chicken so I was curious about how Boars Head created this particular flavor into their chicken sausages! For a more gourmet or fancy sausage sandwich, I sauteed some bell peppers, onions, and mushrooms in pan and later added the sausages, cut length wise, and when its almost ready I top it with provolone cheese! 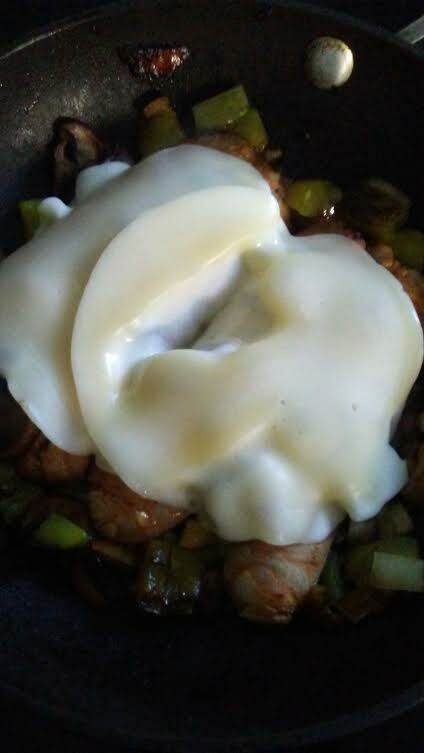 For the bread, I used Hawaiian style sandwich bread for my sausage creation! The results...delicious plus Boars Head uses quality ingredients in their deli products plus its 70% Fat Free!! And the heat factor for their Blazing Buffalo Chicken I personally rank between "Mild/Medium" depending on your zesty/spicy taste buds!